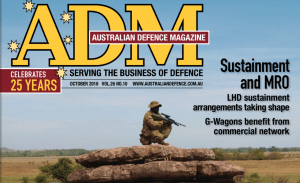 Welcome to the March 2019 edition of ADM: Land Warfare. 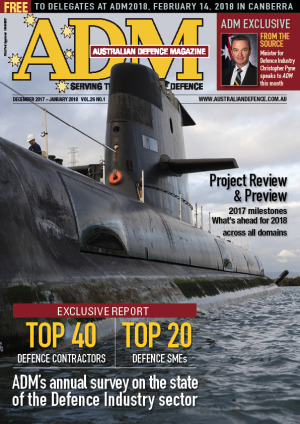 Welcome to the December/January edition of ADM: Top 40/Top 20. 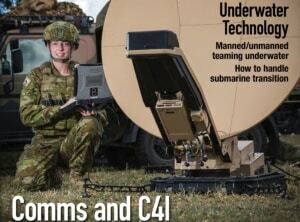 Welcome to the November edition of Australian Defence Magazine: Comms and C4I. 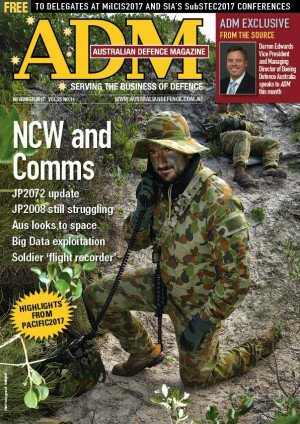 Welcome to the October edition of Australian Defence Magazine - Defence in the North. 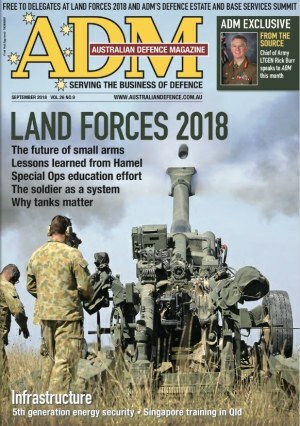 Welcome to the September edition of Australian Defence Magazine, the largest in our 25-year history of publishing – Land Forces 2018. We talk with Chief of Army LTGEN Rick Burr in From the Source. 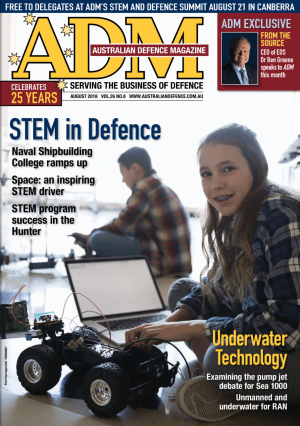 In our August 2018 edition, ADM covers STEM in Defence. We talk with Group CEO of Electro Optic Systems Dr Ben Greene in From the Source. 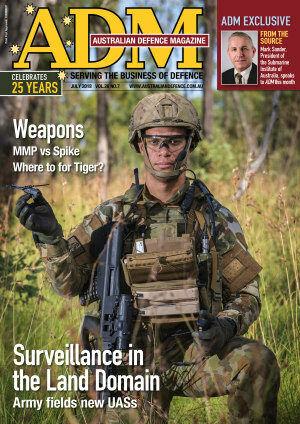 In our July 2018 edition, ADM covers Surveillance in the Land Domain. We talk with DMTC CEO Mark Hodge in From the Source. 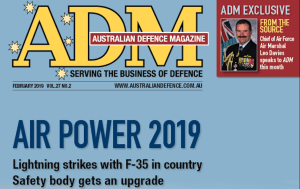 In our June 2018 edition, ADM covers the Budget and ongoing efforts to enhance the ADF’s combat capability. We talk with DMTC CEO Mark Hodge in From the Source. 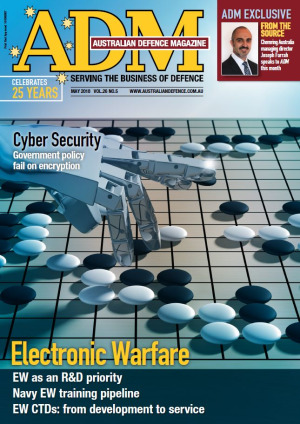 In our May 2018 edition, ADM presents Electronic Warfare. We discuss artificial intelligence and the electromagnetic future, and talk with Chemring Australia CEO Joe Farah in From the Source. 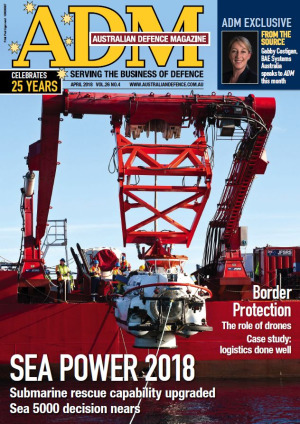 In our April 2018 edition, ADM presents Sea Power. We discuss the future of Australian shipbuilding and talk with BAE Systems Australia CEO Gabby Costigan in From the Source. 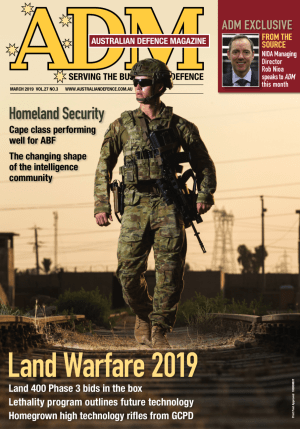 In our 25th anniversary, March 2018 edition, ADM presents Land Warfare. 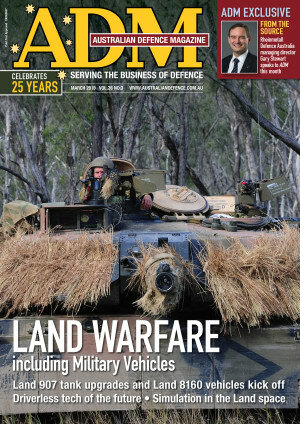 We also preview planned tank upgrades and talk with Rheinmetall Defence Australia MD Gary Stewart in From the Source. 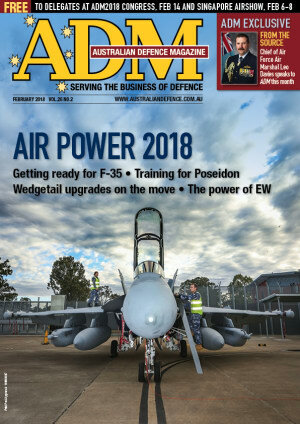 In February, ADM presents the Airpower 2018 edition. 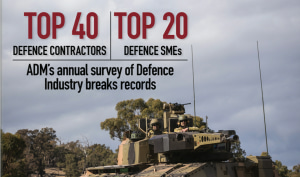 In December/January 2018, ADM presents the annual Top 40 Defence Contractors/Top 20 Defence SMEs survey listing. 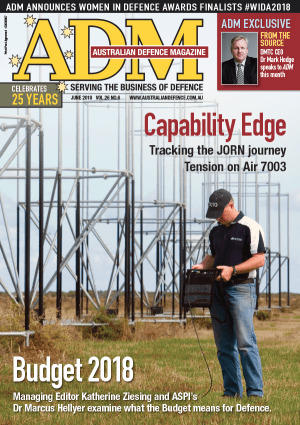 In November, ADM covers NCW and Comms with a wrap of the recent Pacific International Maritime Exposition 2017.